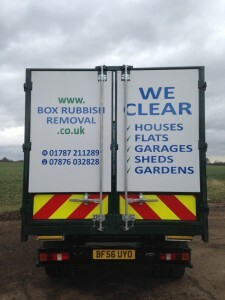 Box Rubbish Removal have been clearing garages for householders for the past eight years in Colchester, Ipswich and Sudbury. responsibly. We are a fully licensed and registered waste carrier and all waste is disposed of and recycled accordingly.